Join us in sunny Baja to get on the mat and off the grid. 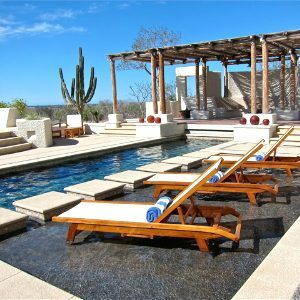 Our home in Baja, Mexico is a luxurious eco resort sitting on a mile-and-a-half of beautiful beach, perfect for strolling, sunning and relaxing. Begin and end each day focused on your practice in one of the two fully equipped yoga studios at the resort. Deepen your practice through daily classes and workshops and relax your body through healing massage, long soaks in the hot tub or a restorative aromatherapy treatment. Wake up to your ocean view and enjoy three gourmet vegetarian meals a day; pick your season and spy whales from your verandah or choose to join in on a sea turtle release. Regardless of the season, kayaking and snorkeling the bays with the group gets you out into natural hustle and bustle of the beautiful Cabo waters. Mix your pleasures and make this a yoga surf retreat by hitting the waves in the village of Todos Santos where you can take a surf lesson in the waves, an ideal location for beginners and experienced surfers alike. Bask in Baja zen. Soak in the desert vibes and the calming power of your practice and the beautiful Pacific. Take a week to recharge and explore and unwind in style. Honor your year’s end transition as you step out of routine and onto the beach. Whether you need to relax and unwind or adventure and explore, this retreat is your chance to do just that. Join me in Baja. Fall asleep to the sound of the ocean—awaken your hopes and dreams for your future. 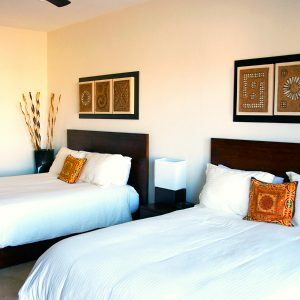 Your schedule is spacious, with time to relax and unwind OR to explore the beach and adventure in beautiful Baja. Your trip includes twice daily yoga practices (to include alignment based Vinyasa, Yin, Yoga Nidra and more), an ocean kayaking and snorkeling excursion, and ample time to explore the beautiful beach and surrounding area. Nestled mid-week is a two-part workshop to help you glean lessons your want to carry with you from 2019 and to clear your best path forward into 2020 and beyond. Add to your trip with optional excursions like surfing, horseback riding or whale watching, or take a day trip to explore the quaint artistic village of Todos Santos or the vibrant and festive Cabo San Lucas. Or stay put and take a class from our retreat center’s fabulous cook. Retreat includes three daily gourmet vegetarian meals, transportation to and from Cabo San Lucas, yoga and workshop. Combine passion with your purpose and set your course for a new decade. 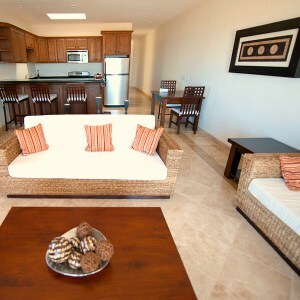 Prana del Mar has built elegant villas all with beautiful ocean views and verandas. 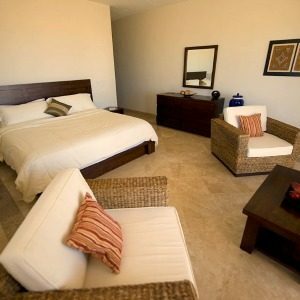 Each room has travertine-tiled floors and bathrooms, pillow-top mattresses and beautiful teak furniture. Upstairs or downstairs, you really can’t go wrong. The upstairs suites have two queens beds and are best for roommates. The rooms have a private bath and a living and dining room with full kitchen. There’s plenty of space to stretch out and relax after you open the disappearing pocket doors to soak up the Pacific. Each downstairs room has a king bed with a seating area and a jacuzzi tub with separate shower. If needed there is an additional queen size murphy bed. These rooms are perfect for couples or those traveling solo and, just like upstairs, they boast gorgeous ocean views and your own outdoor veranda for chilling. Our Baja location is a tried-and-true yoga retreat. This week is about focusing in on your practice, relaxing poolside or on the beach and enjoying the company of new friends and welcoming locals. 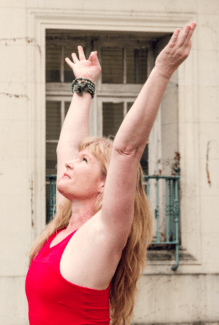 In between yoga classes the days are yours to fill (or not!) at your discretion. The only day we’ll ask you to put your plans aside is when we head out to kayak and snorkel for an afternoon. Snorkel out over a natural reef and see what comes to greet you! Hugs, goodbyes and depart for Los Cabos airport and home! I had such an amazing time on this retreat. The place was magical and everything was truly perfect. I can't think of a better start to the new year. Being fairly new to yoga & only practicing regularly for over 1 year, JL has set the bar high. This was my very first yoga retreat and I'm blessed to have found her through The Travel Yogi. Thank you to The Travel Yogi for being so thorough in preparation for this retreat! How could I not book with The Travel Yogi again? Namaste! Katie and I just returned home last night and I wanted you to know we had an amazing time! The resort was amazing, the food delicious, instructor Alexa wonderful, and all the people were really nice! Needless to say we are hooked ! I hope to experience more retreats. Please continue to send me info on any and all of your retreats! Thank you! This trip went beyond my expectations. The yoga, the location, the food, the ease of The Travel Yogi... the total package. Was I in heaven? This was the best vacation we have ever taken. Everything about it was above and beyond our expectations. Really life-changing. Thank you!!! US citizens will need a passport to visit Mexico, but no visa is required at this time. Nationals of all other countries should check travel requirements well in advance of their Prana del Mar retreat. Please fly into Los Cabos International Airport (SJD). Transfers to the yoga retreat center will be arranged from the airport only. Please schedule your flights to arrive no later than 4.45pm on the first retreat day and leave no earlier than 11am on the last so that you don’t miss anything! Prana is situated in it’s own private oasis, it will take approximately 55min to get to the resort from the airport. We got’cha! All yogis will be picked up from the airport and transported in a private van to Prana del Mar on the arrival and departure days of the retreat. Anyone arriving on alternate days will pay the shuttle service directly but we’re happy to arrange the transfer for you. Do I need to bring my own soaps and shampoos? Prana supplies high end soaps, shampoos and conditioners for all guests. Due to their eco-friendly water treatment process, they do request that you use their products only. Can I bring my hair dryer? Absolutely. Prana has a dedicated computer room where you can either set up your own laptop or use their guest computer. The wifi does not reach the guest rooms, so be prepared to work in the computer room, the library or by the pool. Do I need to bring my own mat, strap and block? Nope! Prana has two fully stocked yoga rooms so no need to schlep your own. Naturally! Prana has a gorgeous stylized pool at the ready. The beach is beautiful and full of sand for walking, exploring and getting your feet wet. There is a very strong current along much of Baja so ocean swimming should be done at Todos Santos or on our kayak and snorkeling excursion. Yes. Beginning and intermediate surfers can enjoy a surf/swim excursion into Todos Santos. Boards are available in Todos Santos to rent and lessons are also available for those just starting out. Can Prana work with my dietary needs/restrictions? Prana provides a delicious and healthy vegetarian cuisine with fish or seafood a couple times a week. Dietary needs or restriction can be accommodated within Prana’s purview provided that you notify us at least six weeks in advance. Prana does not run tabs for services so you will need some cash. The town of Todos Santos is a 40-minute shuttle ride away if you run out. Don’t worry about converting dollars into pesos before you go, or even once you arrive as US dollars are readily accepted.